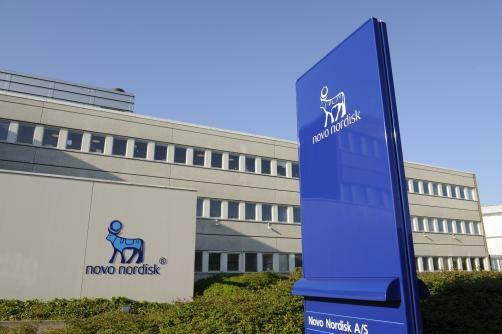 Novo Nordisk has outlined ambitious plans for the medium-term, saying it will look to hire 6,000 staff in its native Denmark by 2022 – half of whom are earmarked for roles in R&D. “With the expectation of creating 6,000 new jobs in Denmark over the coming years, it will be crucial for Novo Nordisk that Denmark educates world-class graduates but also focusses far more intently on attracting international talent,” explains chief science officer Mads Krogsgaard Thomsen. The manufacturer is particularly concerned over the future availability of university graduates and PhDs and “questions whether Denmark is investing sufficiently in the frameworks that are necessary for providing strong research-based degree programmes”. In common with many other countries, Denmark is engaged in an internal debate taking in businesses, academics and politicians about the challenges that need to be overcome in order for research-based businesses to grow. Novo is acutely aware that its own areas of interest – primarily diabetes, haemostasis management, growth hormone therapy and hormone replacement therapy – are likely to become increasingly competitive. In a conference held this week at Novo’s HQ in Bagsværd - called ‘Invitation to growth: a road to job creation’ – Novo presented data on the value created in the interaction between growth businesses and public-sector research and education. Its contention is that the new hires it plans to make will “have the derived effect of boosting employment by more than 15,000 jobs nationally”. At present, the company employs around 40,000 employees - 42% of whom (16,600) are based in Denmark and the rest spread around the world: the bulk of these are in North America (6,545), China (4,950), the rest of Europe (4,420), and Japan and Korea (1,083). Overall 18% work in R&D at present, with 27% in production, 37% in international sales and marketing and 18% in admin. A high-powered collection of speakers at the conference included Danish minister for higher education and science Sofie Carsten Nielsen, chair of the government’s Expert Committee on Quality in Higher Education Jørgen Søndergaard, rector of the University of Copenhagen Ralf Hemmingsen plus spokespeople from the Liberal Party of Denmark and the Danish Social Democrats.